Dr Marc's Blog: One Note or Three? The Hong Kong Philharmonic has just released a disc of orchestral showpieces by Tan Dun. There’s some exciting music on it and clearly the HKPhil are relishing the opportunities Tan Dun has given them for virtuoso display, not only of instrumental skill, but also of shouting, whispering, vocalising, stamping of feet and various other non-musical physical activities. It’s good, too, that this major Asian orchestra has finally joined the others in the international record catalogues, their earlier efforts appearing either on obscure labels (David Atherton directed them in some Stravinsky released in 2000 on the GMN label) or going back to the very early days of Marco Polo when neither recording quality nor performance standards rose above the abysmal. What’s more, while the Malaysian Philharmonic are on a hiding to nothing working their way through Dvořák for Bis – a hiding to nothing because, no matter how good they are, they can never seriously compete with the giants who have set the yardstick in Dvořák recordings – and the Singapore Symphony (also on Bis) cast their net so widely that their discography looks like Lan Shui’s favourite hits, the HKPhil has the virtue of sticking to repertoire with which it has a special, not to say unique, affinity. One of the pieces on the Tan Dun disc is his Symphonic Poem on Three Notes. Inspired by the name of Placido Domingo (if you say that name with a Chinese accent it sounds like Lah-Si-Doh which, as everybody knows, are the last three notes of an ascending scale) the work manages to stretch the musical figure A-B-C to a staggering 12 minutes. Cleverly using lots of percussion and non-melodic effects, Tan Dun nevertheless shows what an ingenious composer can do with fundamentally minimal material. What couldn't Bach do with 3 notes? 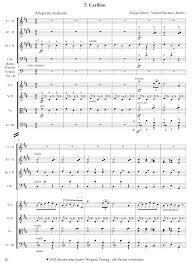 It set my mind thinking about other composers who had built works around such meagre melodic motivs. The obvious one is, of course, Bach and his Fugue in D (BWV532). I remember when I first heard this played at a recital, the programme notes mentioned that the work showed Bach’s supreme genius in developing such seemingly restrictive material, and I was duly amazed by his audacity in building a substantial fugue around the notes D-E-Fsharp. Nevertheless, three seems to be the very minimum number of notes any composer can work with in building a coherent melodic line which can extend to a reasonable length of time. Try as I might, I cannot think of a single work built on just two notes (although Bruckner tried his hardest in some of his symphonies, and Beethoven went some way down the path in the 3rd movement of his Eighth Symphony before deciding to branch out into more fertile pastures), but I can think of one which makes a positive virtue out of being based on a single note (and I’m not talking about Jobim’s One Note Samba). For the one and only public appearance of the Malaysian Philharmonic Chorus, destroyed almost as soon as it was born by the toxic combination of an incredibly foolish German ambassador and a frighteningly weak MPO CEO, I chose to end the concert with a performance of The Immovable Doh by Percy Grainger (1882-1961). The story goes that Grainger was playing his harmonium when a note stuck. 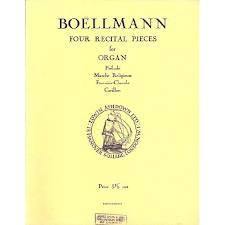 Not wishing to waste good composition time, he devised a choral work around the note C which sounded continually whenever the harmonium’s bellows were filled with air. 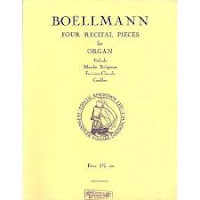 It was an absolute masterpiece, since, while the C dominated and the music sung by the choir unfailingly associated itself with that C, it made perfect musical sense and, moreover, easily had enough interest to maintain its five minute duration. I have a recording of the performance in which we asked the organ tuner, Tan Eng Pin, to sit at the console and hold down the C while the choir sang. I had suggested he might like to keep on holding it even after the choir had stopped and the recording captures a fake gunshot from the stage which ended his C and the life of the Malaysian Philharmonic Chorus. Ligeti - Musica Ricercata ? I asked my daughter if she knew any pieces based on only one or two notes, and with little hesitation she listed several of the beginners piano pieces in John Thompson book 1. But maybe they are not what you had in mind. And then she said "how about the piece Mr Bean plays at the Olympics ? It goes da-da-da-da-da-da-da-da..."
Probably it is a much doctored version of the original Chariots of Fire theme. But I was intrigued how the tonic pedal (or what ever it is) had, in her mind, become the main theme, probably by virtue of the person playing it.